Top Dog Carts are engineered to be attractive, dependable and inviting – without compromising efficiency or safety. Our performance and safety features have both the vendor and customer in mind. We’ve put a tremendous amount of time and thought into perfecting our cart layouts. 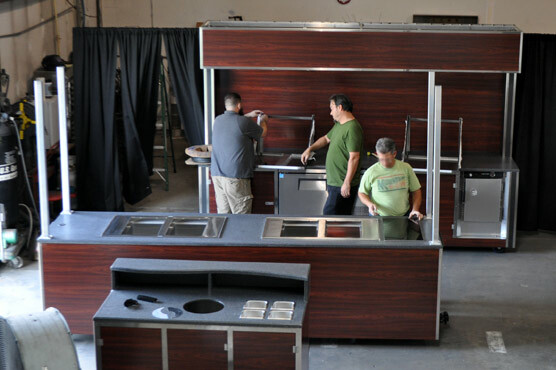 That’s why Top Dog Carts feature the most efficient mobile kitchens available. Each model is easy to manage and handles service for large crowds without sacrificing personal interaction with customers. All of these engineering features are standard on Top Dog Carts. Precision suspension for perfect balance and ease of movement. Most efficient kitchen design available, allowing for quick food service and ease of movement without sacrificing customer interaction. Add equipment and accessories guaranteed to fit your Top Dog Cart by ordering from our online store. 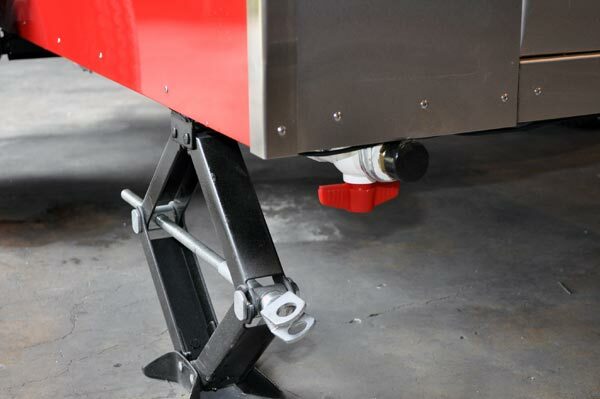 We also manufacture custom parts and accessories for carts by any manufacturer. Carts can be built to meet equipment requirements and trademark/graphics standards for any franchise or organization. Complete custom concession carts engineered by our team are designed to ensure they meet all health department AND venue regulations. For information about building and purchasing concession carts, please contact Kay at 321-972-8200.